For lovers of history and architecture, gourmets and partygoers, Budapest has everything well planned! 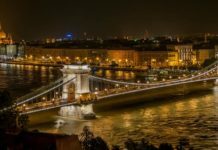 We have established the top 10 things to do in Budapest in winter that we recommend to all wishing to soak up the magic of the Hungarian capital. So, what is there to do in Budapest at this time of year? Discover our selection of 10 activities to enjoy Budapest in winter! 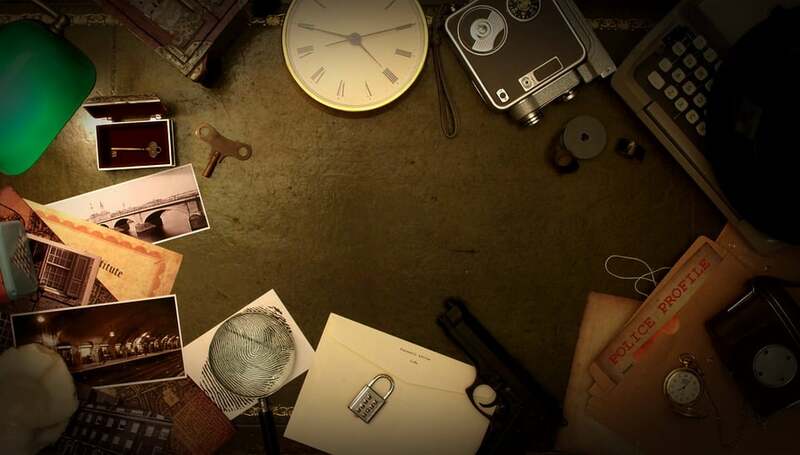 10Discover an ‘escape game’ in the European capital that launched the concept. An ‘escape game’ consists of escaping from a room within a limited time (one hour). 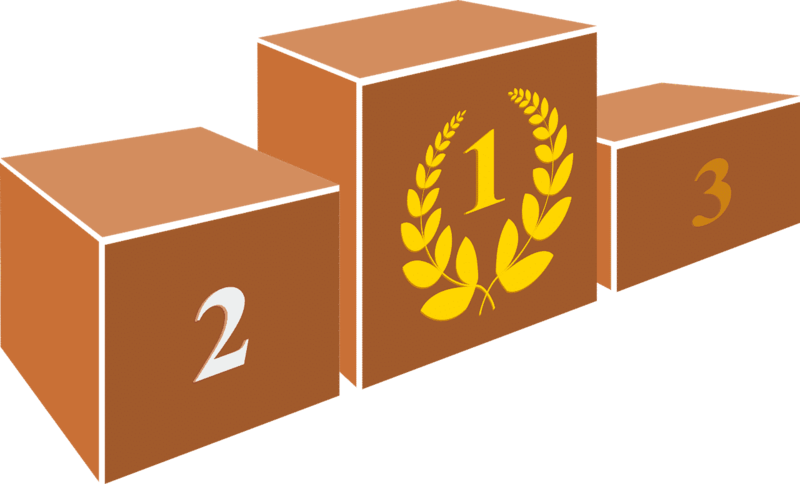 Players must look for scattered clues in one or more pieces and solve puzzles to get out as quickly as possible before the time runs out. You can participate in teams of 2 to 8. The organizer will help you at any time (in English) with a follow-up camera. The puzzles do not rely on any one language but use signs and numbers. The first European escape game appeared in 2011 in Budapest and now there are more than twenty establishments offering several rooms. One of our favorites is called ‘Mystique Room’ with its ‘Pharaoh’s Funeral Chamber 1&2’ and ‘The Cathedral’ (observed price for groups of 4 people: ≈ 44 €). Complete information about Mystique Room on this link. 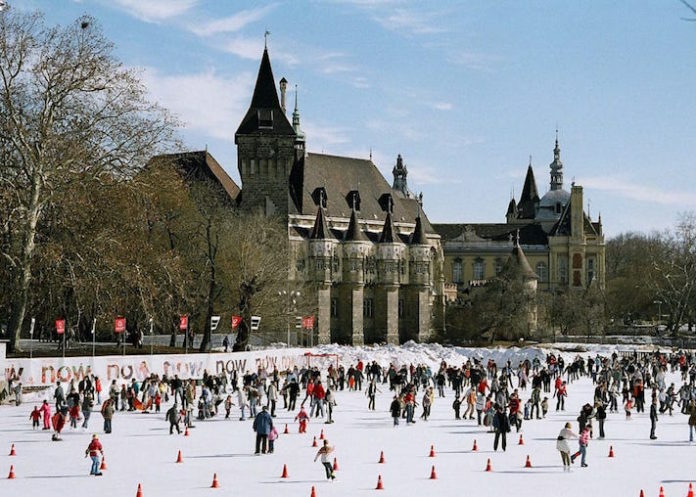 From mid-November until the end of February, come and discover the ‘Városliget’ ice rink, the largest outdoor of its kind in Europe, located on the edge of the City Wood, the largest green space in the Hungarian capital with a magnificent view of Vajdahunyad Castle! You can rent skates and after this unique experience enjoy good hot chocolate on the terrace. In short, a must-do on our top 10 things to do in Budapest in winter! 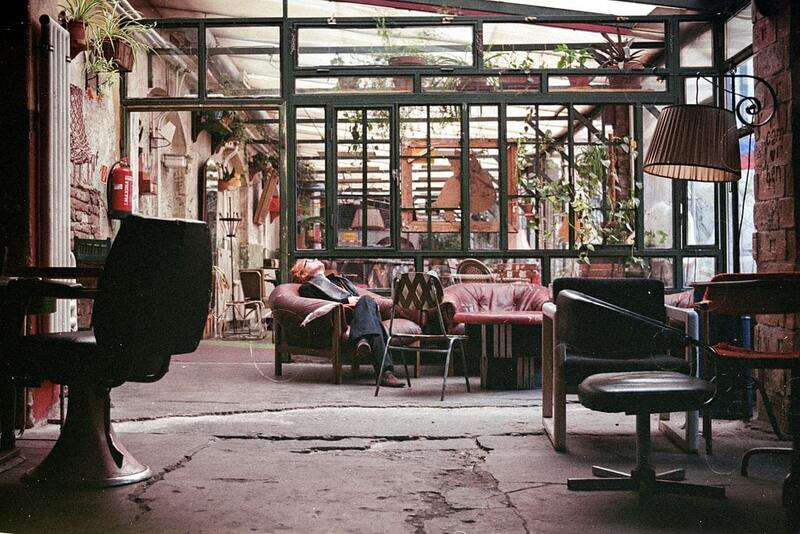 ‘Szimpla Kert’ is the first Ruin Bar in Budapest, opened in 2002 in an old building once occupied by a factory. It is an iconic place of the Hungarian nightlife on several floors where you can discover, both day and night, a unique underground atmosphere and eclectic decorations. Discover each room, one more surprising than another. There is no dance floor but the big inner courtyard quickly becomes electric after 23:00. Evening concerts and film screenings are regularly offered in the evenings. Address: Kazinczy u. 14, VIIth district, Pest – map – website. Note: discover our selections of the best Budapest Ruin Bars in our article, ‘Budapest Nightlife – the best Ruin Bars’ on this link. 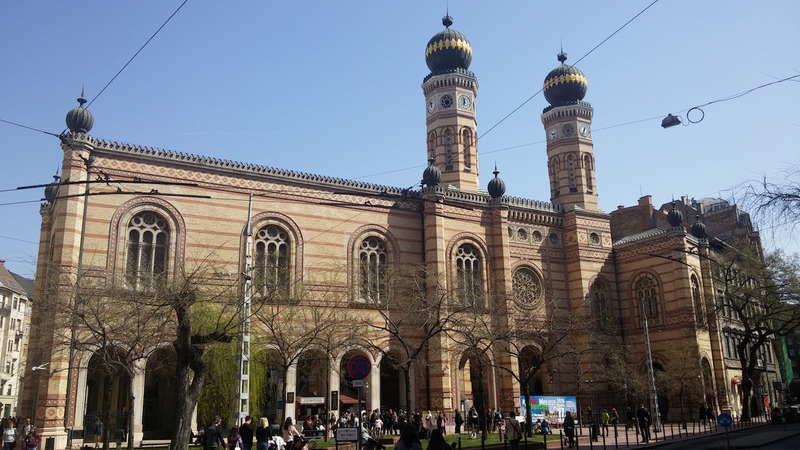 The Great Synagogue of Budapest is the largest in Europe and the 2nd largest in the world. Completed in 1859 in the Moorish style, the unique structure has a capacity of 3,500 seats. In the backyard is the Hungarian Jewish Martyrs’ Memorial where you will find the Emmanuel Memorial Tree, created by American actor, Tony Curtis and sculpted by Imre Varga. 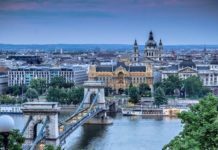 Complete information is found in our article ‘Budapest Must-see sights’ on this link. Enjoy Hungarian pastries such as ‘Rétes’ or ‘Dobos’ cake in one of Budapest’s historical cafés where time has seemed to stop. The cafés, New York, Gerbeaud and Central, will take you back to the exciting atmosphere of the 20th century where artists and writers found inspiration. 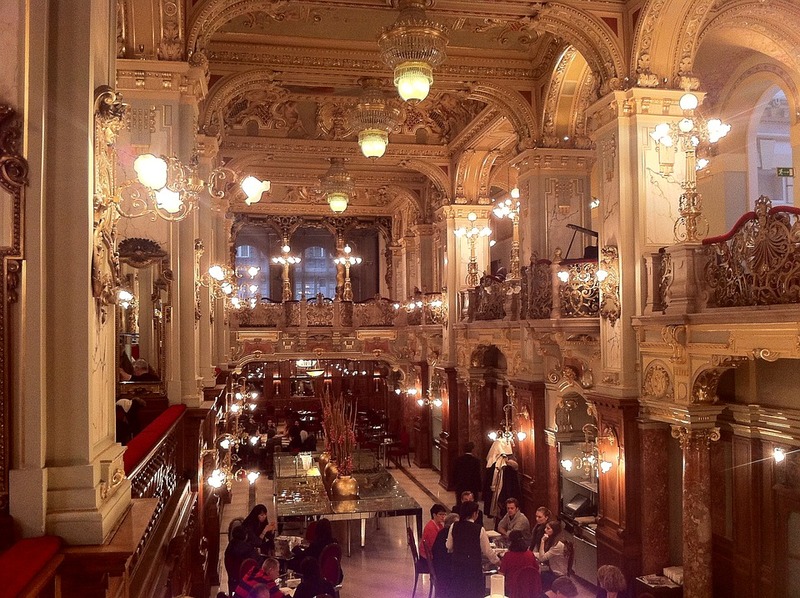 Complete information in our article ‘the historic cafés of Budapest’ on this link. 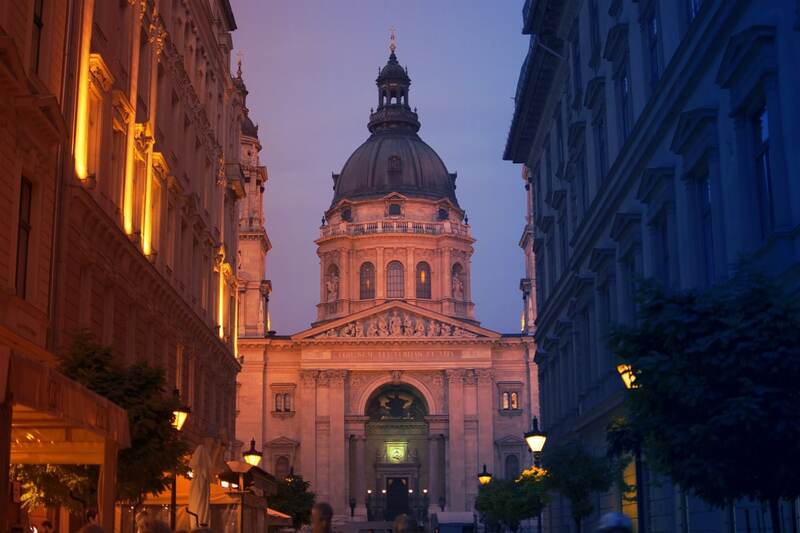 St. Stephen’s Basilica located in downtown Pest is sumptuous and imposing. 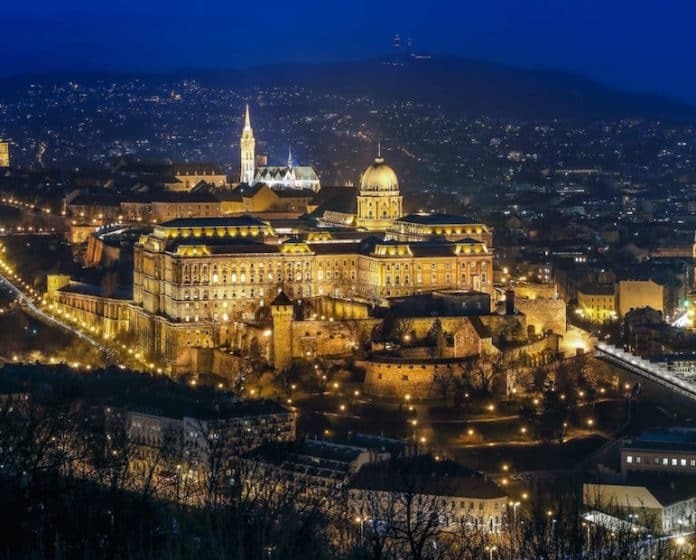 It is the largest Catholic church in Budapest completed in 1906 after 50 years of work! In the chapel of Divine Right is housed a venerated relic of the Hungarian Catholic Church, the mummified right hand of the first King of Hungary, Saint Stephen. At the top of the towers (by elevator or 370 steps), you can admire an impressive view of Pest. 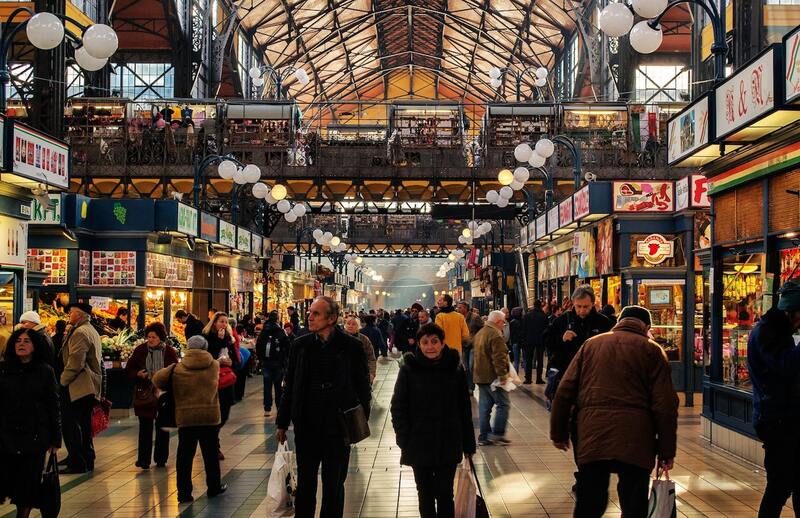 In the splendid Grand Market Hall in the center of Budapest, a UNESCO World Heritage Site, you will discover Hungarian food on the ground floor the Hungarian food with all its essential specialties (paprika, foie gras, salami, wines and spirits, etc.) Upstairs you can eat at the many buffets and explore Hungarian craft stalls and souvenirs. Address: Vámház krt. 1-3, IXth district, Pest – map – website. 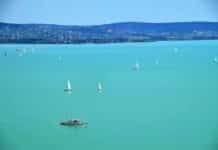 Complete information is found in our article on ‘Must-see sightseeings’ in Budapest. With 18,000 m2 of space, the Budapest Parliament it is one of the largest in Europe and its Neo-Gothic façade is inspired by London’s parliament, the Palace of Westminster. 268 m long, it is composed of nearly 700 rooms and 10 courtyards. Its dome rises to 96m. 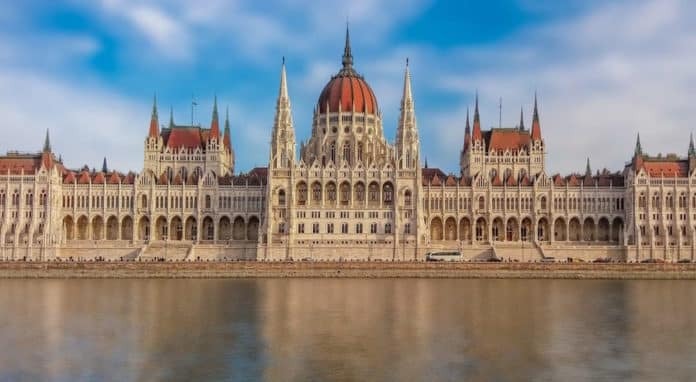 A visit reveals the imposing staircase of honor, the central hall in the hexadecagon, the stained glass of Miksa Róth and also the crown of King St Etienne, the first King of Hungary, and the jewels worn by the kings of Hungary since the Middle Ages. 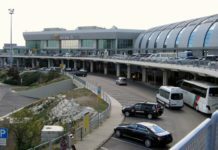 Address: Kossuth Lajos ter 1-3, 5th district, Pest – plan – website. 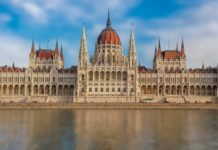 You can also admire the Hungarian Parliament from the Danube on Budapest cruises, day and night (duration 45 minutes-1h, from 9 euros)! 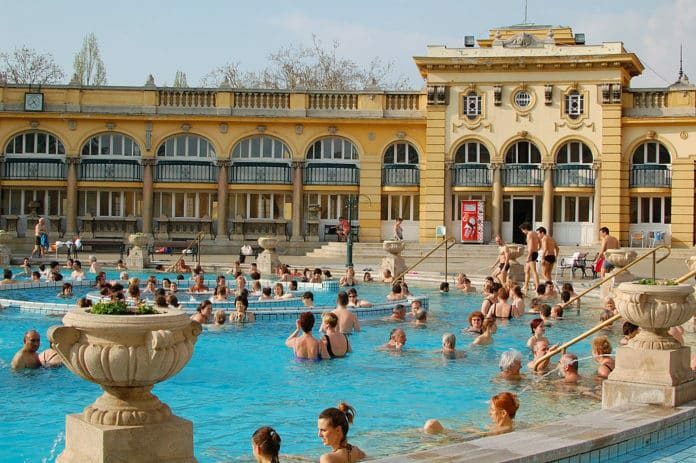 The Széchenyi Baths are the largest baths of Budapest, located in Pest in the “City Wood” and distinguished by its Neo-Renaissance architecture, ahuge Neo-Baroque yellow courtyard and 21 baths, all mixed. You will find 3 outdoor baths whose temperature varies between 27 and 38 ° C, 18 indoor baths whose temperature varies between 18 and 38 ° C as well as steam rooms and saunas. This Hungarian bathing tradition is a unique experience to and a must on our top 10 of things to do in Budapest in winter! Address: Állatkerti krt. 9-11, XIVth district, Pest – map. 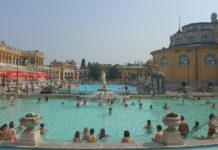 Complete information about the Széchenyi baths and the other baths of Budapest in our article, ‘The Best Baths of Budapest’ on this link. 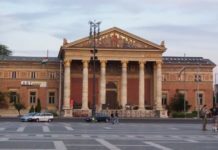 Buda Castle, the historic castle where the kings of Hungary resided and in which the Hungarian National Gallery, the Budapest History Museum and the National Library are housed. The Matthias Church, the most famous church in the city has born witness to royal coronations. Its roofs will dazzle you with their multicolored glazed tiles. It also regularly hosts many concerts in its unique setting! Fishermen’s Bastion next to the Matthias church offers an exceptional panoramic view of Pest and Parliament. We did not include the Budapest Christmas Markets in our Top 10 things to do in Budapest in winter as they are open only from mid-November to the end of December. Find our selection of the best Christmas markets in Budapest on this link of our dedicated article. Do not forget to check out our section, ’My travel Tips’, and our article on the ‘must-see monuments of Budapest’ while preparing your visit!